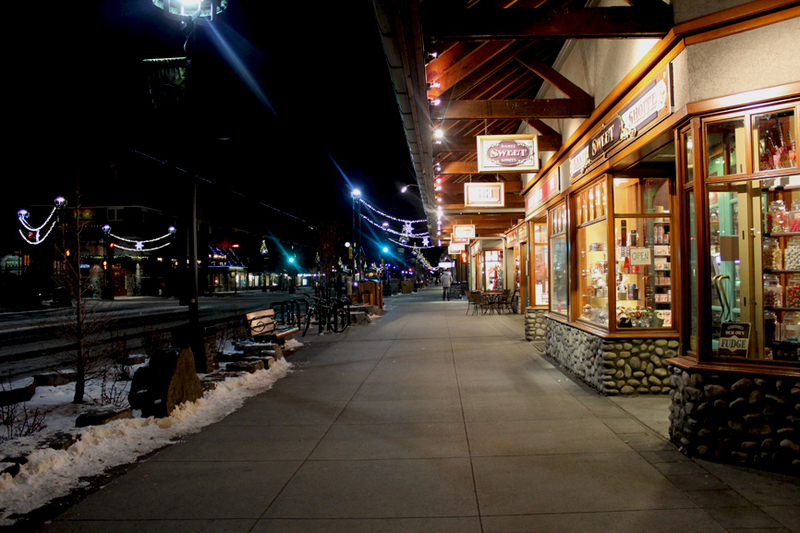 Banff on a quiet Sunday evening. It was a very long trip, but we arrived in Banff safely. Amidst the Canadian Rocky Mountains, Banff is about 1.5 hours from Calgary, Alberta by car. It’s kind of embarrassing to admit, but I’ve never actually been here before now. So tomorrow, along with Jet☆Daisuke-san, I will have my first Banff experience! The weather is cold, as expected. I’m just glad I bought a down jacket before I came. A Fondue and Steakhouse Restaurant. 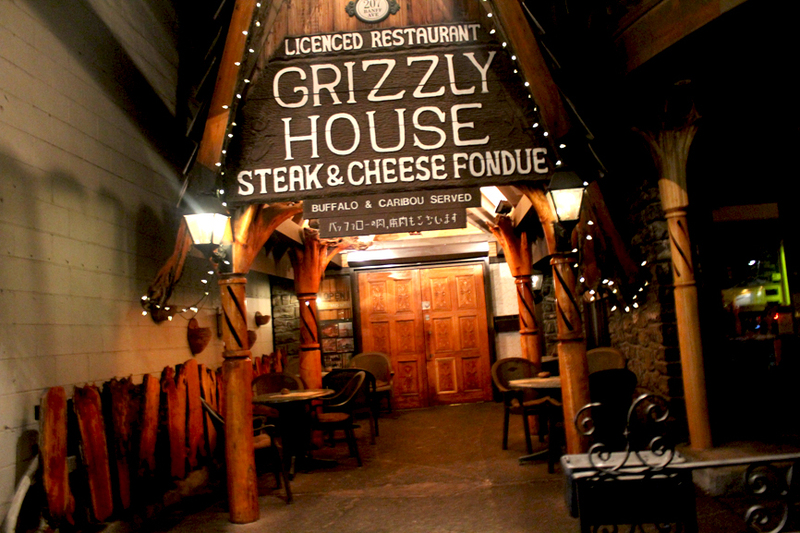 Tonight we were taken to a popular restaurant known as the “Grizzly House”. It’s a Fondue restaurant, but they also serve Buffalo and Deer steaks. I almost forgot how big North American portions were. This was the smallest portion they had for steak!! 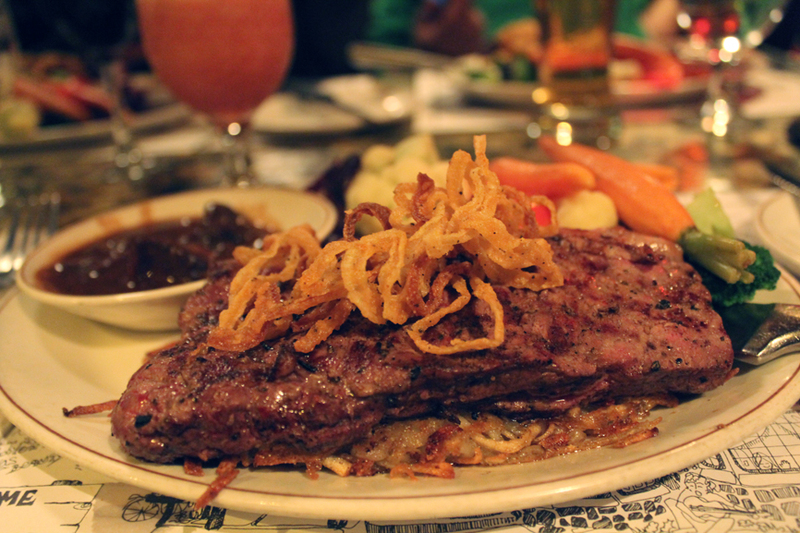 It was as good as it looks, it also included tons of fresh vegetables, which were delicious! Oh, and yesterday I received a comment on my blog. Yumyumsesame-san would like us to try Poutine. I was already planning to eat it! But I will be sure to make a report for you. Also, for more information, don’t forget to check the #RealCanada hashtag on twitter! Please keep supporting us! Thanks so much for the positive feedback so far! I’m up early again tomorrow, so, goodnight everyone! *This trip is sponsored by the Canadian Tourism Commission. Posted in Canada, Events, Food, Micaela, Tourism, TravelTagged #RealCanada, Alberta, Banff, Calgary, Canada, ciaela, CTC, Grizzly House, JetDaisuke, Micaela, Real, Tourism, travel, VancouverBookmark the permalink. That steak looks so good. Also don’t worry about the never going to Banff thing. I live literally 2 minutes from a world nature centre ( i love those sorts of things ) but have never been. Hello..i never went to Canada yet, but I want to be there ..! So beautiful landscape and delicious meals….I will do osmeday ! Take care and enjoy at there…! Always God bless you ! I used to live in Calgary, and cities near Calgary, and have never been to Banff lol. Did you try the telephones at your table ? I traveled Canadian Rockies this past summer and it was Great!!! I know it’s pretty cold out there, but, hope of you have great time!!! Parks Canada is celebrating the centennial! You should compare the Banff hot springs to hot springs in Japan. As well the Banff springs hotel is amazing to even just walk around in. Micaela lots of Japanese people get married in Banff, something to do with the serenity of the mountains! Oh really? I can imagine that. It’s a nice place! i’m from brazil ang i get curious… what do you do in japan? The restaurant has nihongo in the signboard. Do they get a lot of Japanese tourists there?